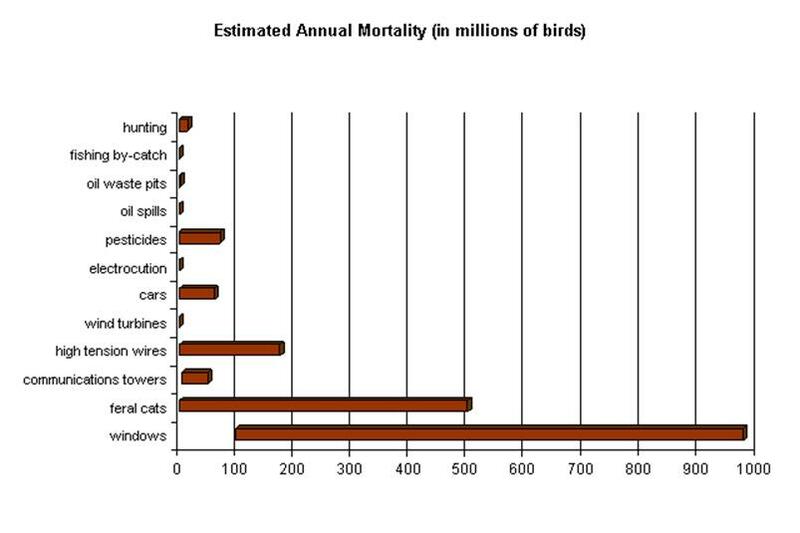 A chart showing estimated numbers of birds killed annually by each of several different causes. Data from various sources. This chart and the following text were prepared in 2003. Any updates would be welcome. First, it should be stated that the single most significant threat to bird populations is habitat destruction, in all of its forms and with all of its causes. The various causes of mortality outlined below kill individual birds directly, and can certainly have an adverse effect on population size, but can actually have a beneficial effect in some cases. Studies of hunting have documented that in certain cases killing small numbers of birds can improve the health and survival of the remaining birds. As long as the habitat is intact, the population has the potential to replace the lost birds. 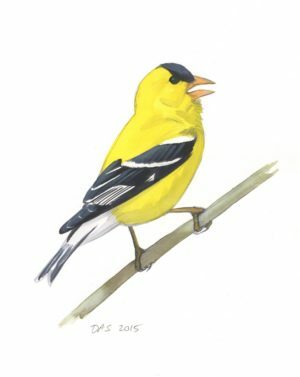 In simplest terms, habitat destruction reduces the population by reducing the available resources, denying birds the chance to reproduce, and effectively putting a cap on the population size. The problems outlined below are serious threats and are implicated in the declines of many species. They should be addressed. 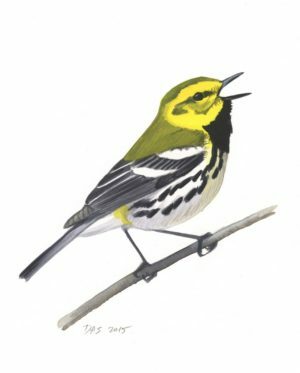 Window strikes – estimated to kill 97 to 976 million birds/year – Millions of houses and buildings, with their billions of windows, pose a significant threat to birds. Birds see the natural habitat mirrored in the glass and fly directly into the window, causing injury and, in 50% or more of the cases, death. Simple steps can be taken to reduce the number of birds striking windows. Decals that stick to the glass are not very effective, but strips of tape on the outside of the glass, or strings or feathers hanging outside the window, each no more than 10 inches apart, are fairly effective. Decorative features like stained glass designs or window dividers can achieve the same result. Outside screens are very effective both to reduce the reflection and to cushion the impact. In short, anything that reduces or breaks up the window’s reflection will reduce bird strikes. Lots of excellent info at FLAP (Fatal Light Awareness Program) ; follow the link to collision prevention and be sure to check out the “CollidEscape” film. Communication towers – estimates of bird kills are impossible to make because of the lack of data, but totals could easily be over 5 million birds/year, and possibly as many as 50 million. Towers have proliferated in recent years, with an estimated 5000 new towers erected per year during the 1990s, mainly for the cell phone and digital TV industries. Any tall structure will kill birds by collision, and lighted towers attract birds at night. Theoretically cellphone towers are less dangerous than the taller structures, but there is no data either way, and the sheer number of cell phone towers may outweigh any other advantage. More info at FLAP (Fatal Light Awareness Program) and TOWERKILL . High tension line collisions – may kill up to 174 million birds per year. This figure extrapolates from European studies to the millions of miles of aerial wires in North America. There are very few data in North America. Electrocutions kill tens of thousands of birds per year. This occurs mainly when large birds such as raptors make contact between a live electrical wire and a ground such as a pole. The relatively small number of birds affected belies the significance of this threat, since species such as Golden Eagle are more susceptible. Large predators like eagles have smaller population sizes and lower reproduction rates than songbirds, so removing a few thousand birds from the population will have a much larger impact than removing the same number of, say, Savannah Sparrows. Studies byHawkWatch International revealed an electrocution rate of just under 1 bird per 100 poles per year, or 547 birds at 74,000 poles in Utah in 2001-2002. 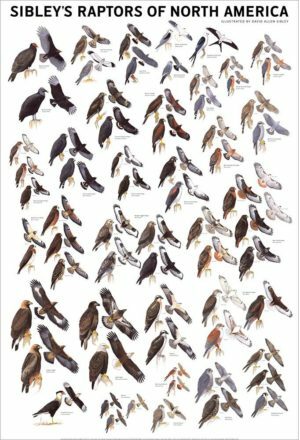 About 10% of the birds killed were Golden Eagles, 34% Ravens, and another 25%Buteos (Red-tailed, Swainson’s and Ferruginous Hawks). Fortunately PacifiCorp, the owner of the poles, is committed to making changes to reduce electrocutions, and hopefully other regions will follow. Cars may kill 60 million birds per year. Of over 8 million lane miles of roads in the US, 6.3 million, or over ¾, are in rural areas where most birds are presumably killed. There’s not much we can do about this source of bird mortality short of changing our driving habits, but landscaping the roadside to discourage birds from congregating there is helpful. My own sense is that small cars with more aerodynamic designs hit fewer birds, while large boxy vans and trucks hit more birds, but I don’t think this has been studied. By the way, 100 years ago there were fewer than 250 miles of paved roads in North America, all in urban centers. Wind turbines may kill 33,000 birds per year, and, as in the case of electrocutions, these birds tend to be large and scarce (e.g. raptors). The recent surge of interest in wind power has heightened concerns about their effect on birds, and has led to at least the discussion of efforts by the wind power industry to design more benign windmills and to choose locations that are less “birdy”. It’s difficult for an environmentalist to come out against renewable energy like wind turbines, but as long as the electricity generated is considered a “supplement” to satisfy increasing demand, wind power will not really help the fight against global warming. Establishment of wind farms should go hand-in-hand with drastic cuts in electricity use, and there is a real need for more study of the relationship between birds and wind farms. Oil spills kill hundreds of thousands of birds a year or more. Some of this occurs in dramatic large spills, but most probably occurs in thousands of small incidental spills that are never reported or documented. Oil and wastewater pits may kill up to 2 million birds per year. Lead poisoning – kills unknown numbers of birds each year, but Bellrose (many years ago) estimated that about 4% of the waterfowl population dies annually due to lead poisoning, and the California Condor recovery team stated that lead poisoning was the primary cause of the condor population decline over the last 50 years. This lead in the form of bullets and shot and fishing sinkers is ingested by the birds, ground up in the gizzard and absorbed by the body. More info is available from HawkWatch International. Alternative materials are now widely available and should be promoted. In Britain the use of lead fishing sinkers has been banned. Pollution – Acid rain has been linked to calcium problems. 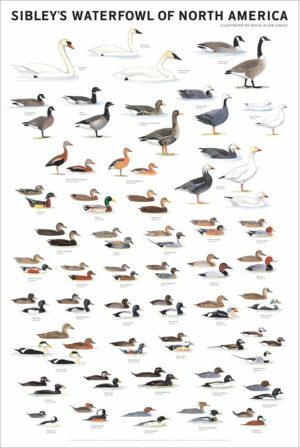 Hunting – as a point of reference the carefully-managed annual waterfowl hunt kills about 15 million birds a year in North America. This, of course, is balanced by extensive and well-funded management and conservation efforts so hunting is not a threat to the population of any North American bird, and conservation efforts led by hunters have been hugely beneficial to many species in addition to the ones being hunted. Domestic and Feral Cats – may kill 500 million birds per year or more. 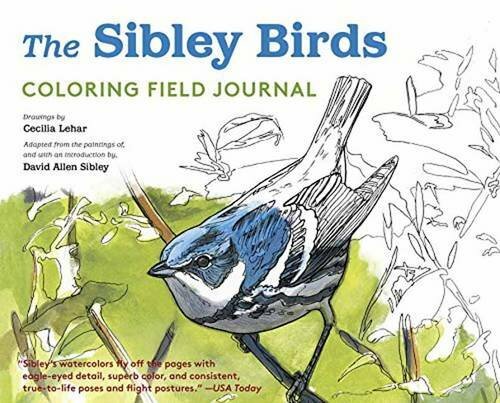 More information can be found at The American Bird Conservancy. Predators, of course, account for the vast majority of bird deaths each year, and most of this predation is natural. Domestic cats are not natural predators, but kill many birds. It is worth noting that house cats have been blamed for the extinction of two species of small mammals in the southeastern United States, and feral cats continue to be a huge problem where they have been introduced on many oceanic islands. By-catch – Tens to hundreds of thousands of seabirds are caught each year in nets and on hooks intended for fish. Although the total number is small this source of mortality is having a profound impact on a few species of birds. See my newspaper column HERE about long-line fisheries and albatross. The BirdLife International site (an excellent source of global bird conservation information) has detailed information about the albatross declines here . Disease – Unknown numbers. Disease is a major source of mortality for birds, and may be the underlying cause of death in many cases of predation. Most avian diseases are fairly specific, such as the conjunctivitis eye disease that hit House Finches hard in the eastern states. Botulism can be a serious problem in wetlands where water is drying up. The West Nile Virus has recently caused concern because it affects a wide range of species and has spread rapidly. 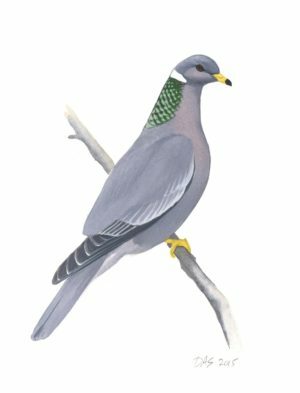 TheHawaiian Islands have been particularly hard hit by avian disease, and offer a sobering example of the dangers of introduced diseases to naïve local bird populations; detailed info can be found here. With regard to wind turbines, I don’t think the description that “as in the case of electrocutions, these birds tend to be large and scarce (e.g. raptors)” is accurate. With the exception of the Altamont Pass in CA (where raptor deaths have occured but in much smaller numbers than quoted above) very few raptors or large birds have been killed by wind turbines. I would suggest you look up the work of Paul Kerlinger who has studied this issue for 20+ years. Domestic cats most certainly are predators. Turned loose from human captivity they will readily revert to feral and do quite well, assuming they have the natural tools. And cats have been “blamed” for many things, including the supernatural. But when a cat ventures out and raids a pheasant nest, it does so because that’s what cats do. If one believes in a “Creator”, then the cat has an absolute right to kill the pheasants. People kill them for entertainment in most all cases. Bruce, while many cats are able to survive in the wild after domestication, it is a myth to say that they all do so “readily”. We have a serious problem in my area of people dumping cats because they believe this. The result is a large number of cats starving to death or living on garbage. Regardless of whether you are convinced of the existence of a “Creator” house cats were CREATED by Humans from a wild species that is native to Europe, Asia and Africa. Domestic cats and their wild ancestor, the Wild Cat (Felis silvestris) were never part of the North American fauna. It’s unfortunate that you used another non-native species in your example. Feral cats as well as free-roaming pets kill large numbers of native birds, mammals and other small animals each year. You seem to imply that people killing pheasants for “entertainment” may be “wrong.” A cat allowed to roam freely or released to fend for itself is no different than a human indiscriminently firing a shotgun while walking blindfolded through the forest. Cats, if hungry, do indeed kill to eat. But any well-fed cat will hunt and kill FOR THEIR PLEASURE– it is their nature to do so. We are talking domestic cats, NOT NATIVE, NOT part of nature. Many animals kill for PLEASURE including coyotes. Many other animals are not native like the Feral Horse and the European Rabbit. So is that mean they are not PART OF NATURE as they are NOT NATIVE? Then we should kill all invasive species. It is legal to kill starlings and english sparrows as they are not native. You are making a broad simplification of the problem. Feral horses are protected because they are an integral part of American history. The United States would not be the amazing place it is today without them. However there is a gross over population of them because of uneducated people making decisions regarding them. The vote to protect them was put through by people in cities who did not understand the the rangeland can not support its natural wildlife without the horses being culled regularly. It is the same with cats, they provide valuable pest control however the decision not to kill them comes from a social stigma, caused by increased anthropomorphism of cats in literature. It is our duty to protect and steward the land but the people who know how to cant because ignorant people cant leave well enough alone and let the BLM do its job. and a case in point a person walking through the woods blindfolded firing a shotgun is one not going to do much damage just wasting money, and two isn’t going to get very far or anywhere near some animals, they will be bumping into trees and causing enough noise to wake the dead. It’s a part of nature humans are responsible for and which we should do our best to curb. The evolutionary response of many bird species to man-made threats will be to die or completely. Is that natural selection in action? Yes. Does that mean we should be okay with it and not do anything to stop it? Of course not. Yes, it is a cat’s nature to hunt. If you believe in a creator then they were created to be excellent predators. The problem is that cats are not native to much of the world where people keep them as pets. They have an advantage over animals that are native in these areas. In addition, their numbers are artificially high because so many cats are abandoned and their diets are supplemented by people who let their pets roam. There is overwhelming research that shows that domestic cats (pets and feral cats, both) have led to the extinction or local extirpation of native bird and mammal species. If you love your cat, keep it indoors for its protection and the protection of native species. Bruce, what does believing in a creator have to do with having a right to kill ??? Killing for entertainment? Huh? Thanks for this overview, David! If one believes in a creator who created the various species, then one would necessary have to believe that the creator intended predators to kill. Indeed, many species have to kill to live. I don’t think a cat could survive on a vegetarian diet. So either the cat kills or is fed animals that others have killed and made into cat food. Cats that are forced to eat a vegetarian diet go blind. Actually, cats can live on a vegan diet as long as it is supplemented with taurine and other key nutrients. By the way, because taurine is destroyed in the process of turning meat into commercial cat food, even meat based cat foods are supplemented with taurine. The ‘impacts’ paper on the below web page estimates mortality of birds due to cat predation to be one billion. A variety of other threats are covered. ABC’s website has been recently redone and updated. This article and many others only track birds killed unnaturally by external factors, such as cars or cats. Of course birds, like people and other creatures, have finite lifetimes. It would be interesting to know how many die of “normal” effects of aging, such as heart disease and cancer. That would make the number of “unnatural” deaths more significant. This sounds like the spineless ‘above the law’ spew of “that’s what cats Do” impudent monsters …isn’t that like telling the neighborhood if you don’t like my unlicensed, unneutered, marauding predator in your yard thrill killing the birds that you’ve opened your yard up to, a personal sanctuary if you please, Tough S— ‘Get used to it’. This is what the majority of predator Cats owners think and personally, they themselves are but impudent monsters – put here by a loving flying spagetti monster to Kill billions of birds for pleasure. A few months ago i caught this marauding predator with 1 of my 5 Blue Jays who daily came to my feeder,in its mouth, it killed a chick-a-dee too and that mate was soo soo soo unhappy it cried all around me as i picked up the little torn up carcass, this feral cat was on a killing spree mostly sparrows and one Eurasian Ring-neck that i could see in my tiny little sanctuary thanks to predator lovers. No We won’t get used to it. You are allowed to do whatever you want to any cat on your property, such as kill, poison, trap, etc., at least in Philadelphia, PA your allowed to do this. However, torturing them will get you a fine. Animal control does not respond to calls about domestic or wild cats. I find this to be upsetting, cruel and stupid. You’re allowed to poison dogs and cats that wander on to your property? How barbaric. Hello I am a ninth grade student in an iowa high school and my physical science teacher has givin me a new project. That is to wright the pros and cons of wind turbinds and make a debate in front of the class. During the debate the oppsing team brought up that wind turbinds kill birds but on this site it says that birds die more from windows than wind turbinds. so do you think that killing birds is a liable reason not to build wind turbinds? From your post it is clear that you are smart enough to make up your own mind from the data available to you. Clearly emotional responses often indicate an opinion formed on the basis of events not related to the issue at hand. No energy source has no impact on the environment. The challenge is to try to use energy sources that represent the best long-term compromises with the least impact and are sustainable. If birds are the only issue of importance (and in my opinion, this is one of several important issues regarding energy) then you ought to compare how many birds are killed or habitat destroyed by acid rain or the construction of other types of power plants. Those are just two examples. Stay scientific. Let facts lead you. We need learned and calm consideration of our alternatives or we will never solve our problems. Your post gives me hope for our future. There are now ‘bird smart’ wind turbine installations which means studies on bird flight paths and migrations have been done at the proposed sites. The turbines are then located to avoid these paths. There are better wind turbine designs coming out all the time. Presently a design of choice has slower moving blades. There are also designs with no blades. They aren’t in production yet, but we hope they will be soon. I am afried by what wind power is doing on birds. 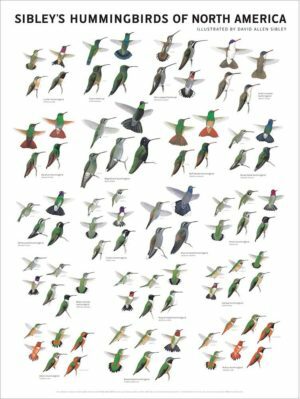 Re: wind turbines and raptors, I’m not sure exactly why that assumption is being perpetuated – Altamont Pass was hell on raptors, but new turbine designs don’t lure raptors in for perching… Instead they kill everything from warblers to ducks and beyond. I’m sure Altamont did the same, but raptors were the primary concern there. Raptors aren’t the whole story for new turbine designs. Bats have it far worse than birds and that needs to be addressed far more seriously than it has been historically. I’d like to see more of the ‘bladeless’ and vertical axis designs explored; 3 blade designs are hell on wildlife. Heidi, I think you would see a lot more bladeless windmills if the manufacturers hat to pay hefty fines for all the raptors they kill. Today, they get a free pass. Based on slovacool, “Contextualizing avian mortality: a preliminary appraisal of bird and bat fatalities from wind, fossil-fuel, and nuclear electricity”, which finds an average avian mortality of 0.3/GWh, if the entire US electrical base (3700 TWh/yr) were replaced with wind turbines, approximately 1.2 million birds would die each year from wind power. This is approximately 1/100 the minimum estimate for bird deaths from windows, and an estimated 10-fold decrease in bird fatalities relative to a coal-fired grid (based on the same paper). I have tried to understand the fierce opposition to wind farms by some environmental groups. I suspect it is because they make easy targets. After all, they’re suppose to be good for the environment, right?. When viewed in comparison to alternatives, they seem to be more environmentally friendly, and thus should probably not be opposed with such zeal. When looking to minimize bird deaths, it also seems that even minor efforts to reduce kills by feral cats, windows, and cars would completely dwarf any change in kill rate possible with turbines, even with vertical axis designs. Currently in California more Golden Eagles are killed by wind turbines than reproduced. The large more modern wind turbines actually are more in the flight path of large raptors and kill more. 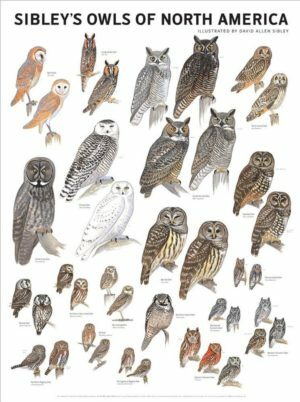 The SF Audubon has shown an increase in kills the better searches and larger turbines. How many Eagles are killed by windows? 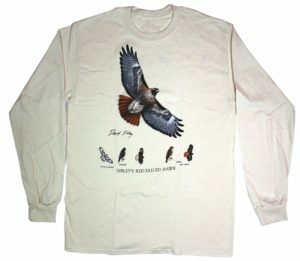 Feral cat killing Golden Eagles? I think the above estimate are a fraud places by wind turbine enthusiast. The EAgle protection act and the bird migration treaty both should be enforced against wind turbine companies, just like against oil companies. But the flow of subsidies to wind are just too great…the Gov of Maine went into the wind industry after setting up the laws to enrich himself. One last comment about the estimated BILLION birds hitting building…I have seen estimated that say we have 8-10 Billion birds in the USA…do you really believe that 10-15 percent of the bird population is wiped out every year? 14 million fewer birds would die annually if all fossil fuel generation world-wide were replaced with wind turbines. outside the study group ?? I have seven bird houses within my garden , all of them used to be occupied, but alas the magpies nesting in a neighbors garden has chased away our small birds. I redid the math: it’s 70 MILLION BIRDS SAVED ANNUALLY if all fossil fuels were replaced with wind farms. I wonder what this chart would look like if it incorporated the results of the recent Smithsonian / USFWS study that claims that up to 3.7 billion and no fewer than 1.1 billion birds are killed by cats annually. It is clear that the authors of this study did no cross-checking of their math, so it would be interesting to work through some of the ramifications. 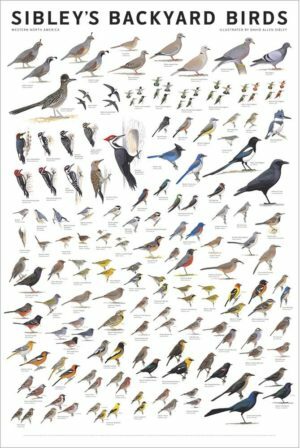 For instance, on this chart, every single bird death from every anthropogenic cause and then some would have to be shifted to cats. Glad to see someone with a different but certainly relevant perspective on the topic of bird population reduction. Nesting Red Tail Hawks in my neighbourhood have almost eliminated the presence of most bird types simply by their presence and voracious appetites. I have to question the fact avian predatory activity is not considered in the tables presented above. Likewise, intense weather conditions (climate change?) play havoc with nesting practices and must have some impact on the overall reduction in reproduction numbers. Surely an engineer could design a strong, fine mesh guard that would protect birds and bats from the whirling blades? Obviously two drawbacks would be (a) some wind resistance, and (b) greater expense to produce. Perhaps the first problem could be offset by erecting more wind turbines. Then, with a greater demand for more turbines, they may become more affordable. If new safety standards could be introduced to the effect that all blades must be shielded, this would, in turn, generate more business for green energy industries. Even more so if a government grant towards research and development in this area could be obtained. There are already bladeless, energy efficient wind turbines out there. I’m not so concerned with the bird deaths as weather the technology is sustainable. Yes there are better windmill designs then the props on a stalk, but bottom line it’s what do they really contribute to the grid? Since any form of wind energy device seems too frenetic and intermittent to deliver dispatchable electricity, and has to be double shadowed by gas powered peaking plants, that leads to increased infrastructure costs and increased fossil consumption then if the peaking plants operated alone, then wind is not so sustainable as it is portrayed. And for that factor they must be heavily subsidized at tax and rate payers expense. The best use of wind and solar cells is for heating water. They also be used for running independent heaters or coolers that are not run off the grid, sort of like supplemental energy sources. But the lobbyists for the big market players may never let these out of the prototype stage. Renewables are mostly a scam. In fact wind farms are the original invention of ENRON and were pushed by Al Gore. But there is also a conflict on official reports vers unofficial reports. In other words the official bird death reports due to windmills looked to be greatly fudged, like global temperature increases. David, who prepared this 2003 chart? What is the geographic basis? North America? The US? It’s always helpful to include the source and formal reference(s) when putting something like this ‘out there’ ! I wonder if these results are generalizable worldwide. Is there European research on this? Every study I have looked at from West Inc. has been scientific garbage. This outfit works for the wind industry and they are behind this on going deception. All this is nothing more than a continuation of the decades old pattern of deceit that has been taking place with the Wind Industry and our Interior Department. In fact I have yet to come across a single credible study related to the wind industry’s mortality impacts. Peer reviewed or not it does not matter. As for the billions of birds being killed by communication towers, buildings, windows and domestic cats here is the truth………..Communication towers, buildings, windows and domestic cats kill very few raptors and bats. In fact raptor and bat deaths at communication towers are virtually nonexistent. While it is true that millions of more common, city dwelling birds are killed by windows, none of this mortality has anything to do with the rare and highly protected species like eagles being slaughtered by wind turbines in their remote habitats. The Interior department knows this and could correct this falsehood overnight; instead they have allowed this garbage to circulate for years. It is even on their website. One final thought about West Inc. and their absurd mortality analysis, they forgot to include the billions of chickens and turkeys killed each year at processing plants. I liked your pointing out the billions of chickens and turkeys killed each year at processing plants, but you left out ducks, geese (can you say liver pate), quail, squab (pigeon) and pheasant that are farm raised. Add to this the number of birds that hunters kill each year. Then there is all the scientific research where they kill birds, especially chickens. Did you consider animal shelters at all ? You just don’t hear much about it. Continuing, we should count the eggs that are eaten as bird deaths too, as they are fertile eggs and would have become baby chicks had they not been taken from the hen that laid them. Last, I would like to mention bird flu and the required slaughter of massive numbers of birds, mostly ducks and chickens. 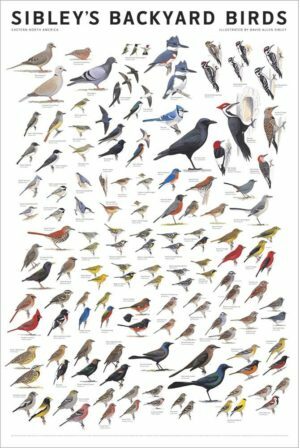 It’s stunning we have any birds left, we kill so many every year. It would be interesting to find how many birds are born each year and what the normal wear and tear is on bird populations from natural predation are per year to then compare against the human caused losses listed above in order to see what is left to keep bird populations afloat. That would really give the public the proper big picture. 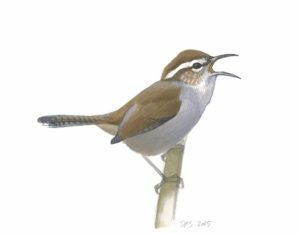 The natural predation numbers we can’t do anything about, but knowing what a bird faces to reach adulthood and breed might give more value to those left. Thank you, Jim for sharing this article. Very informative. 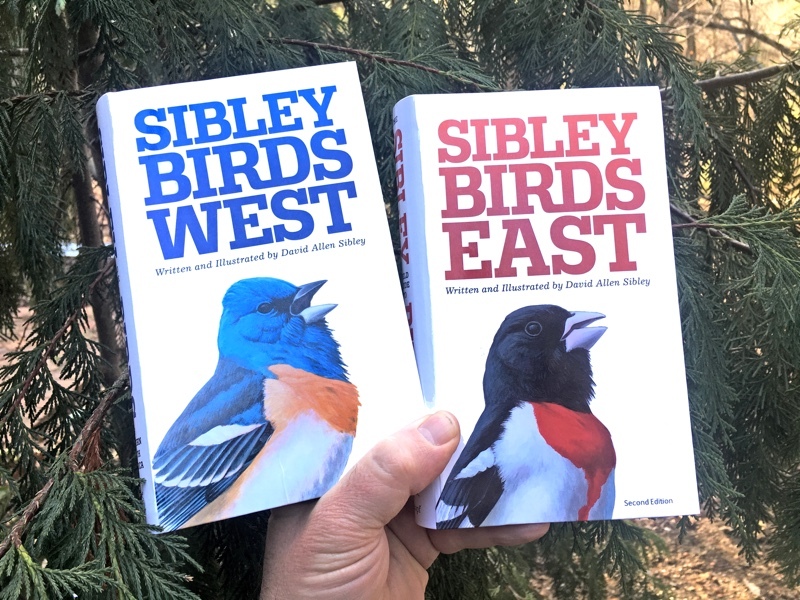 Sibley Guides: You’ve left off your list of bird mortality the killing of Bluebirds, Tree Swallows, Barn Swallows, Purple Martins, Titmice, Chickadees and other hole nesting birds by House Sparrows! I’m adding your site to blogs etc that I’m passing around a thought/idea about saving some of these birds….. It seems to me a (relatively) slow moving windmill might be made MUCH MORE “visible” by the addition of streamers which “should” make the blades look like a solid wheel to birds. I think MANY struck birds might also simply misjudge the speed of the passing blades. Heck, we humans are said to be a “more superior animal” and yet… We have been known to occasionally misjudge oncoming cars speed when crossing streets. I imagine some field testing would be needed to find the “Goldilocks”” ultimate method…. I.E. : What color ( something that reflects ultraviolet might be optimal as I believe most birds see in ultraviolet) or what widths of streamers, or fluttering modes versus not, and what material….. It’s possible that something tough/durable like even Kevlar MIGHT be needed, but..Maybe not. Hell, maybe PAINTING the blades with an ultraviolet glowing paint could help? Heck, for a few hundred dollars ( per multi THOUSANDS $$$ blades) one could even add some combination of smoke “puffers” and/OR lasers. BONUS: It might even be possible to have streamers that break up the air-vortexes that create the “whoosh-whoosh” noises which vex so many neighbors of windmills? OR… Some that make ultrasonic “noises” so as to include bats in this rescue. Gee, maybe birds like bats and cats, (but not windmill’s people neighbors) can hear that warning ultrasonic too? We have had 4 hawks so far that have been electrocuted from the live wire on the pole in our back yard. The last one so far happened today. 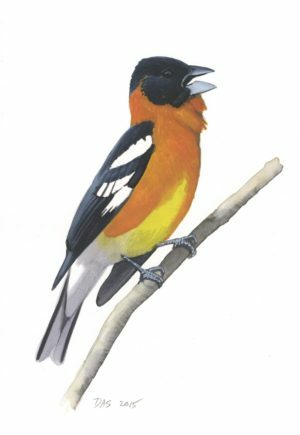 Our neighbors all enjoy watching these beautiful birds as they land on our trees, decks and pools. I have called the electric company many times. They have come here twice and made promises to come and fix it. They never do. They even tell me what days they will show up and then they don’t. I don’t know what else to do. The causes of death are many but it seems to me that two legged creature is without a doubt the the one most responsible – although indirectly. How do we control that creature? Quite a puzzle. Please update your Causes of Bird Mortality chart. The latest research shows that cats are by far the leading anthropogenic cause of bird deaths, killing between 1.3 billion and 4 billion birds per year. 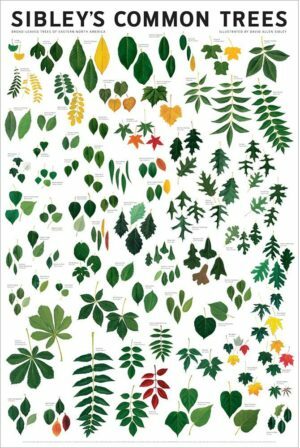 Please, please, please, update this chart with the current data. I just came across yet another cat advocate using this page as a reference to try to show that cats are not that big a threat to birds (as if 500 million birds killed were not THAT much). But it OK for humans to murder billions of animals a year and cause the largest and fastest rate of extinction and yet they are allowed to continue. I believe one thing that could actually help is that every animal owner get fined if their pets are not spay and neutered. All domestic pets should be fixed and microchipped or fined, period. Yes population control should be enforced. But leave these beautiful things that were also created ALONE, They ARE a part of nature. Curiously, zero data on the amount of birds killed by other birds. And the cat kill numbers are ridiculous! Thank you, Jim. I may add that what we have here is a deliberate attack against the very foundation of our nature protection laws. Such laws have never been intended to apply in the same way to chicken, pidgeons, etc., other birds killed by windows and domestic cats, in the same way as to rare and endangered raports. In fact, this webpage makes mockery of several hundred years of efforts of naturalists and nature lovers across the world. We have industry, we have cities – what the point of having natural, non-industrialised landscapes? What is the point of protecting rare species, given that cars kills birds anyway! Lovely logic. Everything to make the world safe for wind turbines! For therapyresistant bradycardia pacemaker therapy should be tetracycline buy online uk performed..